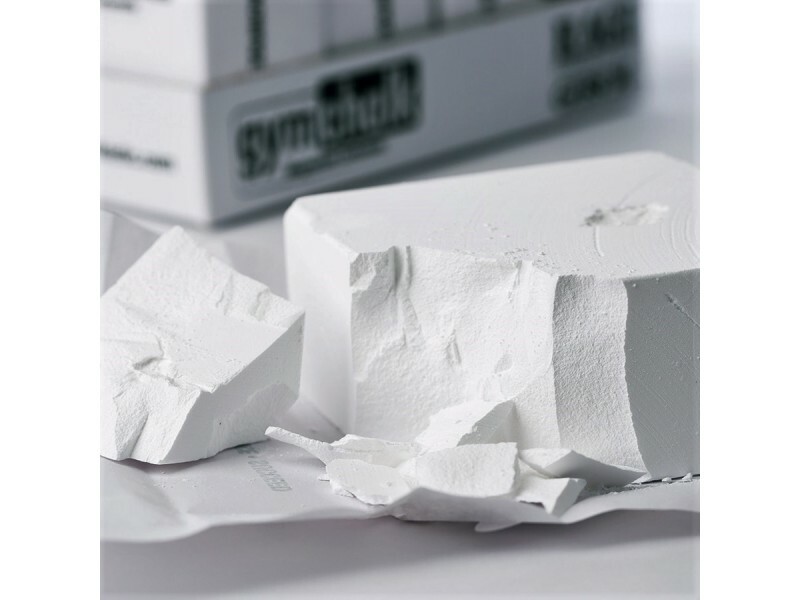 Pure Grade Magnesium Carbonate Chalk. 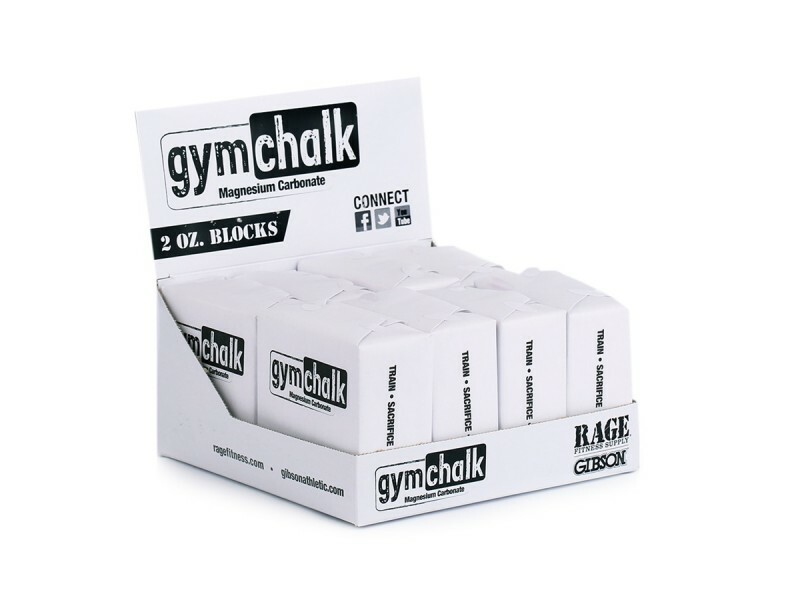 Each box contains 8 individually wrapped bricks of chalk weighing 2oz each. Select a 3lb, 10lb, or 36lb case. You get the best deal per brick when you buy the 36lb. Even a little bit of perspiration on your hands significantly reduces your grip strength. Grip strength is a key factor in how much you can lift in pulling movements like deadlifts. Chalk is a drying agent, soaking up the moisture in your palms and keeping them dry to maintain the friction of your hands against the bar. Don't use chalk when your hands rub against the bar, such as when doing kipping pull ups, or your hands will suffer from too much friction. A brick of chalk makes less mess than loose powder. Rub it lightly on the palms of your hands, only where you need it. 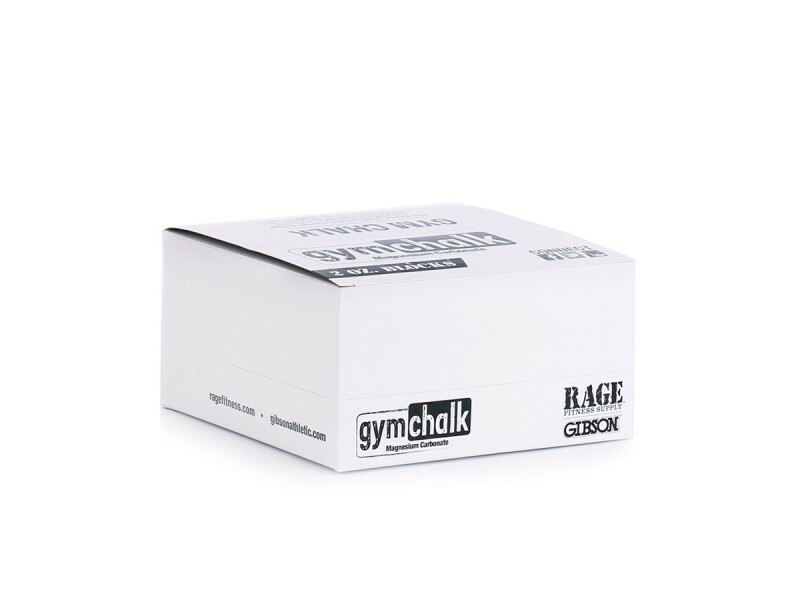 Manufactured by Gibson Athletic / Rage Fitness, a gymnastics equipment company that knows chalk well.